A simple, elegant and flowing design – especially suited to smaller rooms that need an extra boost of design interest. Please ensure installation is done using the correct adhesives for a perfect result – see the More Information panel. 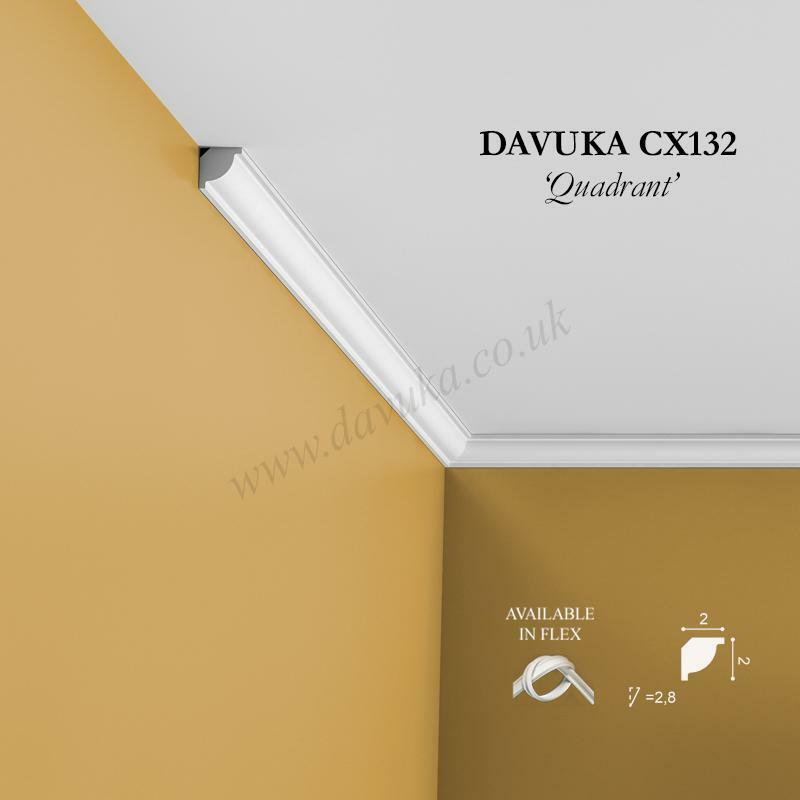 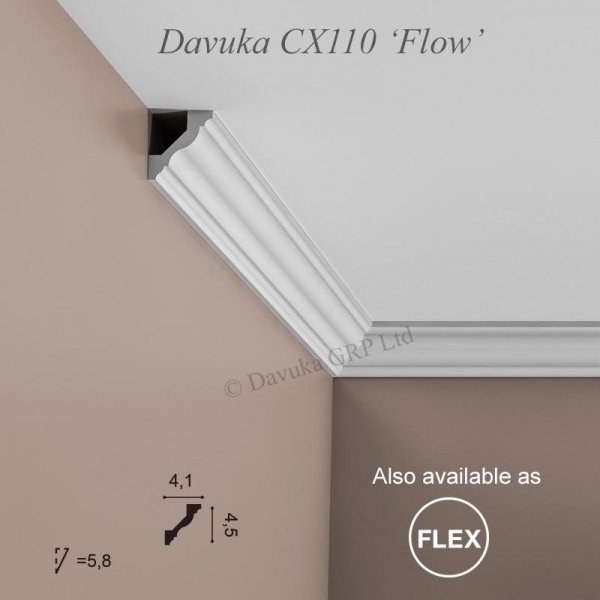 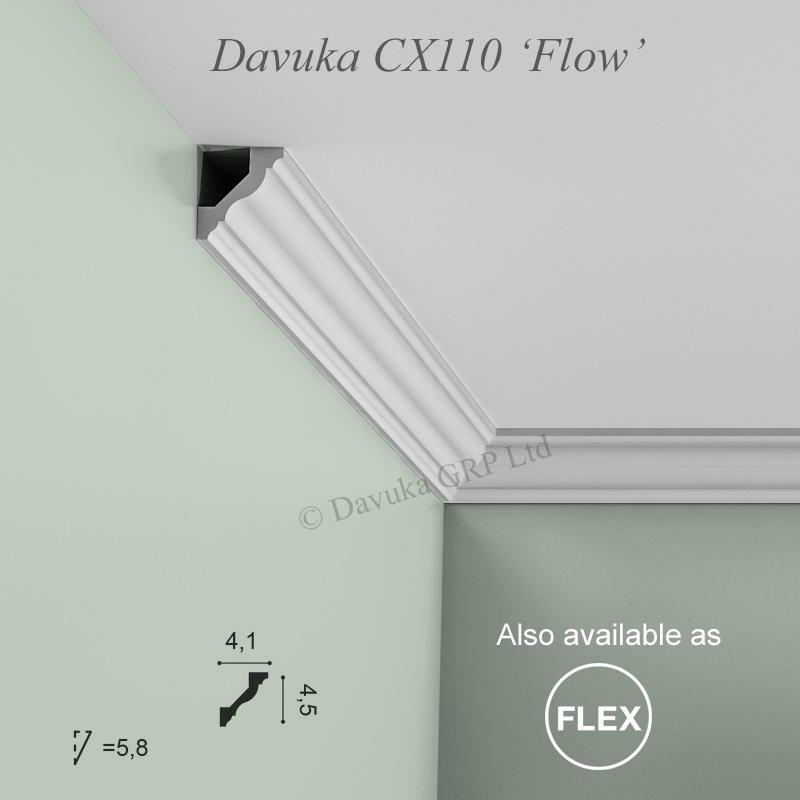 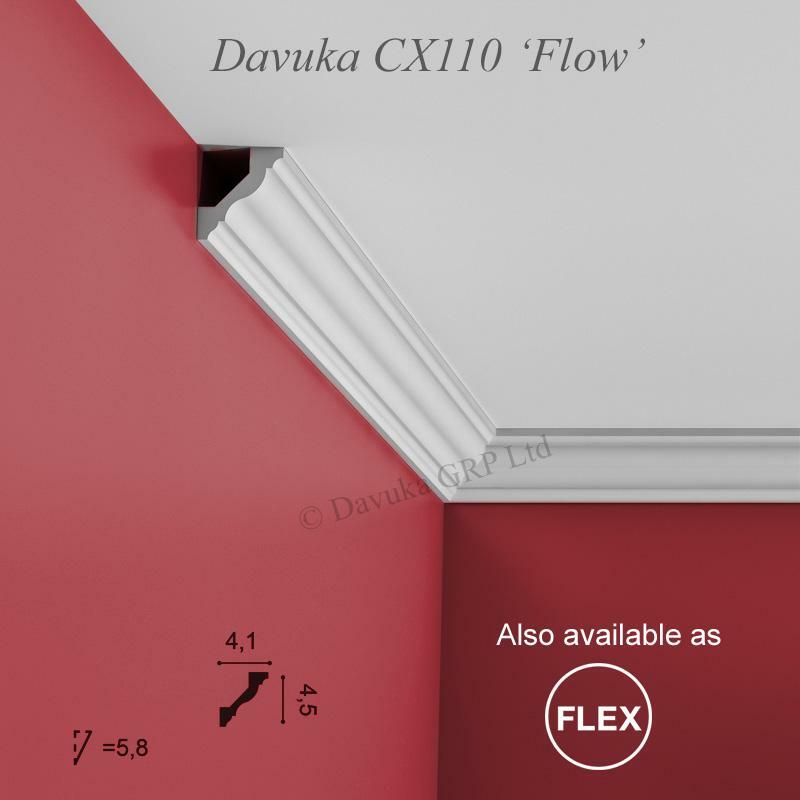 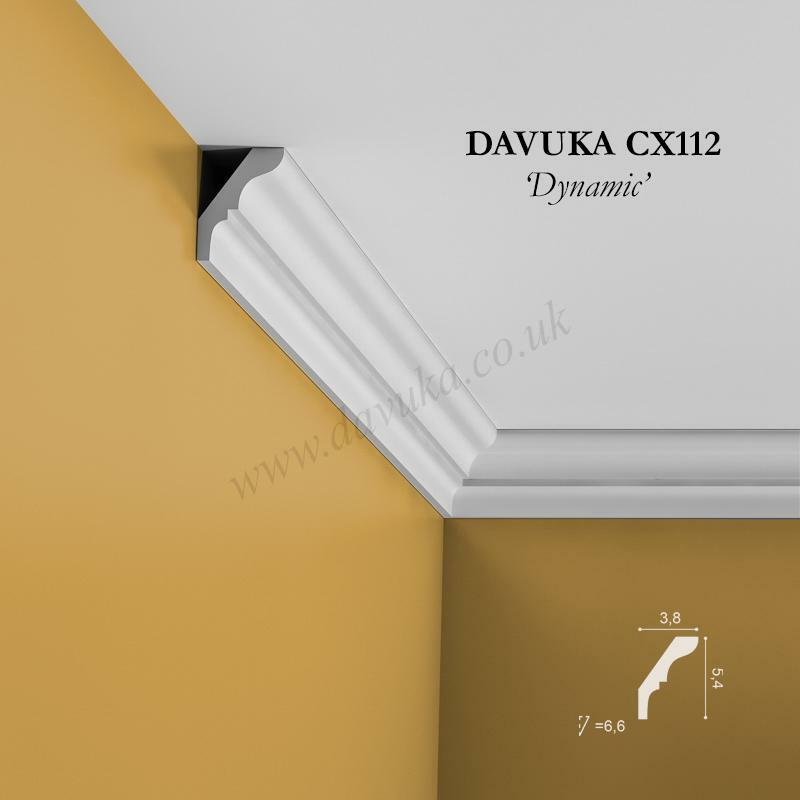 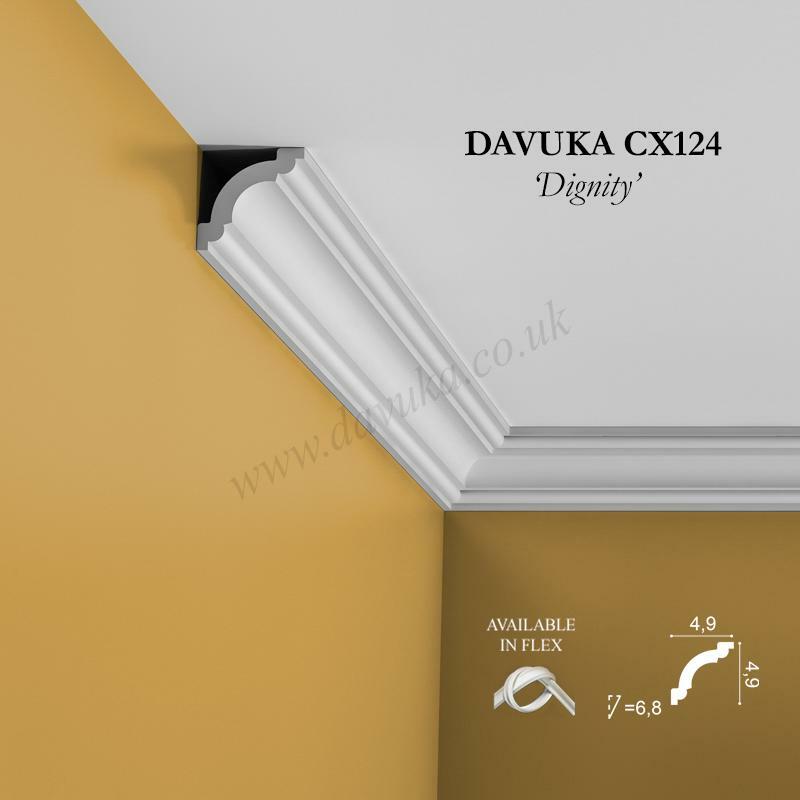 Using the Correct Jointing and Mounting Adhesives for the CX110 ‘Flow’ coving – IMPORTANT! 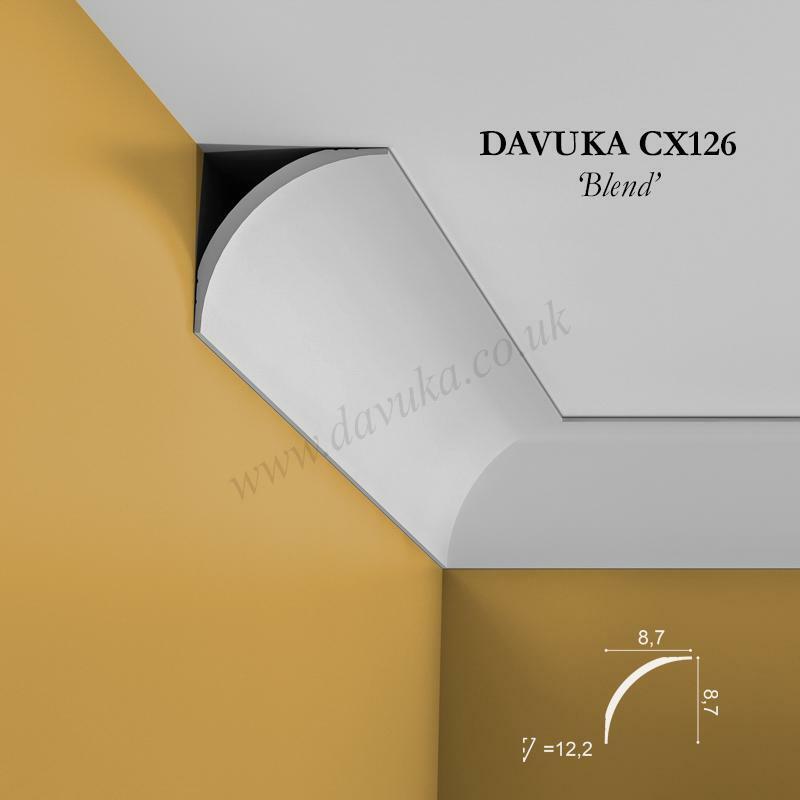 For fixing, we strongly recommend using an MS-Polymer based adhesive – FDP700 which dries white and is paintable. Alternatively – if the walls/ceiling have not been re-plastered within the previous 6 months, the water based FDP500 will be perfect. We recommend Toupret (available elsewhere) for any gap filling as required.